Craving an easy, savory dinner especially after the holidays? Chicken cooked for hours in a soupy tomato broth sure does sound good! The chicken is so tender that it falls right off the bone and is super flavorful from the tomatoes and artichokes. Lauren and I love the holiday season because we get to savor our traditional family foods. But, thanks to this Mediterranean Chicken we can look forward to having one of our faves all year long. It’s right up there with our traditional cioppino, and polenta and stew. Although we both love cooking, we like to be efficient in the kitchen. And nothing’s more efficient than a slow-cooker recipe. This will be your new go-to recipe for meals that are quick, easy, and healthy—and it’s great for meal prepping, too. All you need are cans of tomatoes, artichoke hearts, and a pack of bone-in chicken thighs (besides a couple other pantry items). After you combine everything in the slow cooker and press the start button, you’ll walk away and come back home to a the kitchen smelling delicious—dinner is done! If you don’t have a slow cooker, you can order one just under $20. They make nicer cookers with more features, like an all-in-one slow cooker and pressure cooker (aka Instant Pot), but you can do a lot with a simple slow cooker. Our mom made many amazing dishes using a crockpot circa 1950s from a garage sale. We loved the beef stroganoff, Chinese chicken on rice and chicken alfredo growing up—all done in that old crockpot! This recipe was inspired by Italian flavors: artichokes, tomatoes and garlic. Think, Mediterranean stew. We love serving it on roasted spaghetti squash or cauliflower rice, but any kind of rice or noodles will do. You’re going to love it! Use organic bone-in chicken thighs for extra flavorful and moist meat. * Or, you can use bone-in chicken breast, but thighs turn out the best. *Fact: Because hormones and antibiotics are mainly stored in fat cells, it’s super important to use organic chicken and meats so you don’t consume the bad stuff. Use low sodium or no salt for the tomatoes and artichokes so you can control the salt. Often times there’s a ton of sodium in these cans, way too much to stay within a healthy range of sodium. Once you add the ingredients, cook on low for 6 hours or on high for 4 hours, and serve over our favorite spaghetti squash recipe! Enjoy. Hope you had a wonderful Christmas/holiday filled with special traditions, tasty cookies and your favorite holiday movies! 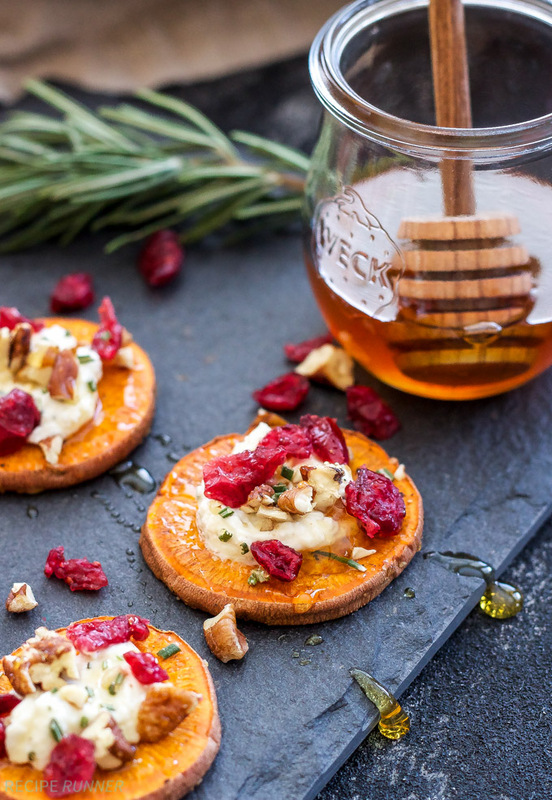 As we savor our last Christmas cookies, Lauren and I are thinking of what to make next—naturally ;) Because New Years is almost here, you’ll need some healthy appetizer recipes that will liven up your holiday parties. Or if you’re staying in this year, finger foods that we can enjoy at home with a glass of champagne. We made sure to include 15 healthy recipes—mostly Paleo—that are simple. Since we’ve already spent a lot of time in the kitchen this season, here are easy recipes that look just as impressive. These are like crostini but made with sweet potato instead of bread. Simply swap out the goat cheese with Kite Hill cream cheese or ricotta for a dairy-free option. 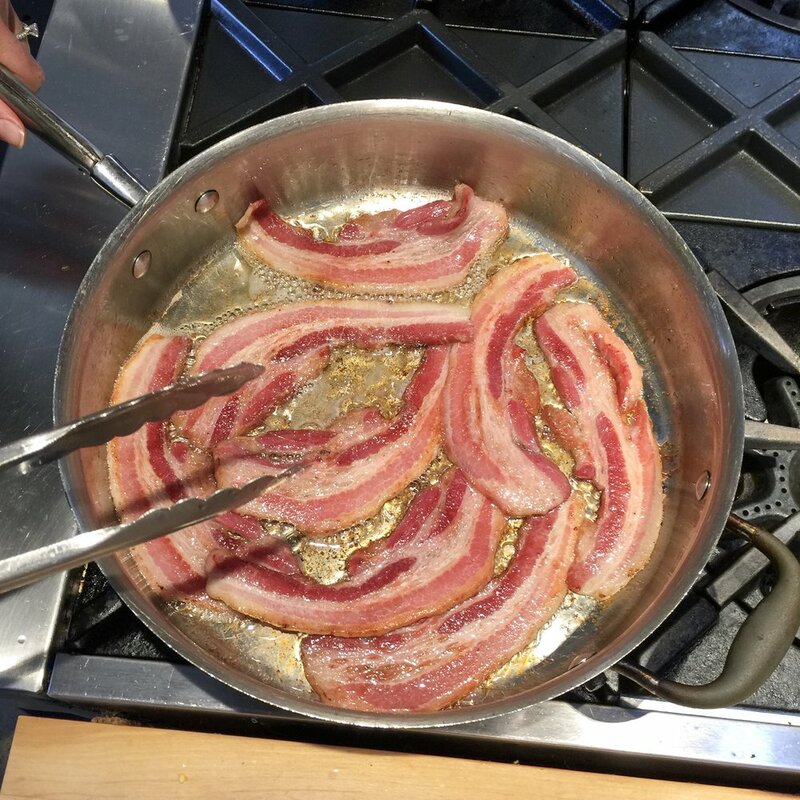 We love salty bacon wrapped… everything! These are sure to be the most popular bite-size appetizers on the table. Similar to aram sandwiches (aka cream cheese, turkey wrapped in tortillas and sliced in sushi-like pieces), but these are filled with vegan cheese, spinach and sun-dried tomatoes. For a gluten-free option, use Siete tortillas instead. 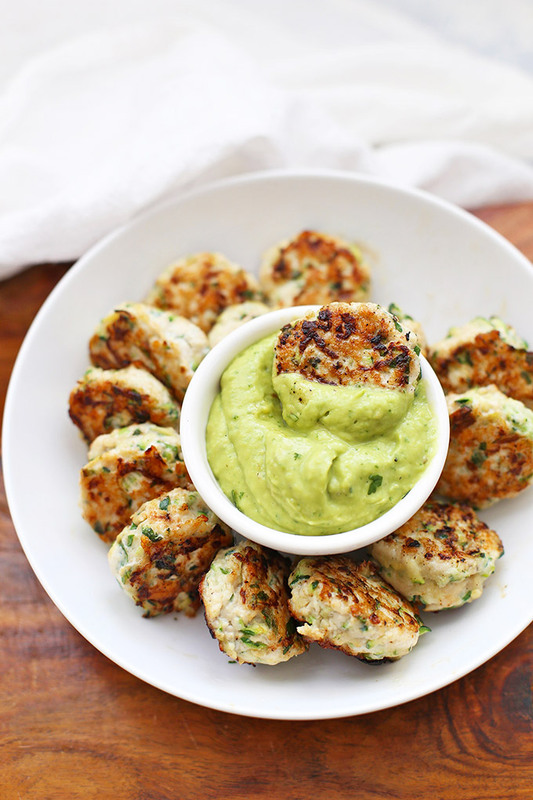 Combine ground chicken and grated zucchini to make meatball-like “poppers”. These are just the right size to dip in your favorite dipping sauce and pop in your mouth. Light, crisp and fresh—the cucumber is made into little cups by scooping out the center! Grab-and-go bites made with chicken and sweet potato. These are the perfect finger food for dipping in guacamole, ketchup or mustard. A delicious chunky dip that you can serve with chips, crackers and vegetables. 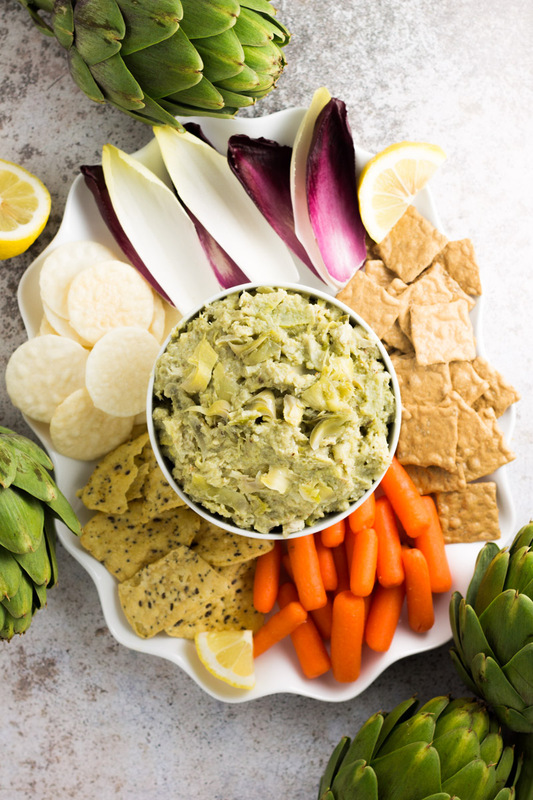 The zesty mixture is made with artichokes, cauliflower and lemon—and cheesy nutritional yeast. Strips of zucchini grilled are rolled up with a creamy mixture of goat cheese and finely chopped olives. For a dairy-free option, use Kite Hill cream cheese or ricotta. Who doesn’t like hot fries right out of the oven? These are sure to be a crowd pleaser and are made with a sweet and spicy twist—chili powder and brown sugar. Sweet grapes, buttery and salty prosciutto, and peppery arugula are skewered on a stick for an excellent line up! This one is so flavorful and cooks fast—just about two minutes on each side! It’s also fresh and light so you won’t fill up too much before the main course. 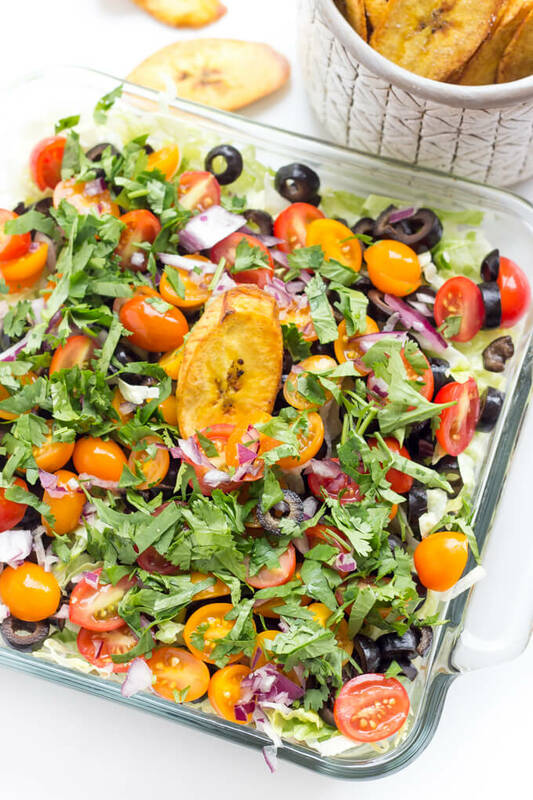 From bottom to top, this Paleo version is made with guacamole, salsa, grilled chicken, shredded lettuce, olives, tomatoes and topped with onion and cilantro. 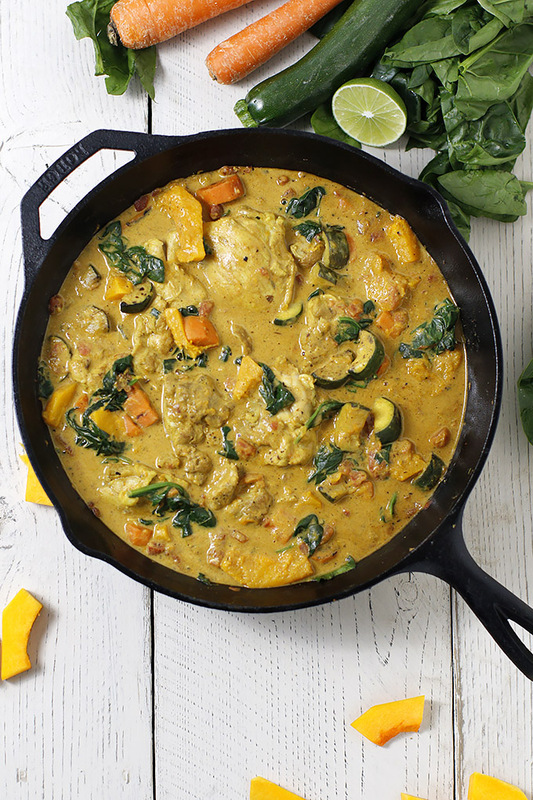 Serve with chips or Paleo plantain chips. Your healthier version of buffalo wings—veggie style. These roasted cauliflower florets are baked in buffalo sauce and butter. To make dairy free, use coconut oil or a vegan butter. Although these have “parmesan” in the name, the salty and sweet flavors come from the coconut flour and sea salt. So they are dairy free! 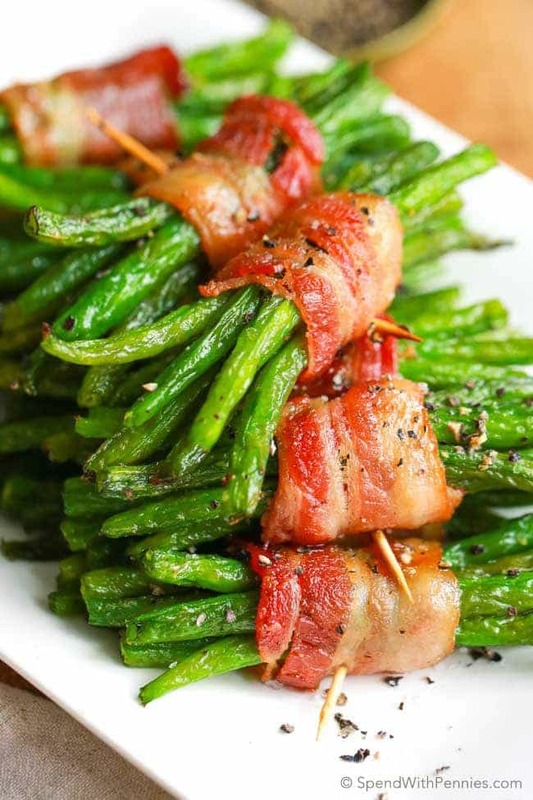 Green beans and bacon have always been a great combo. Now you can enjoy them bundled up for a small bite exploding with flavor. We hope this appetizer list has helped you find exactly what you need for your New Years parties. Let us know which appetizers you make and which one you liked best! This year my sister, Lauren, and I decided to hit the kitchen for our birthday. 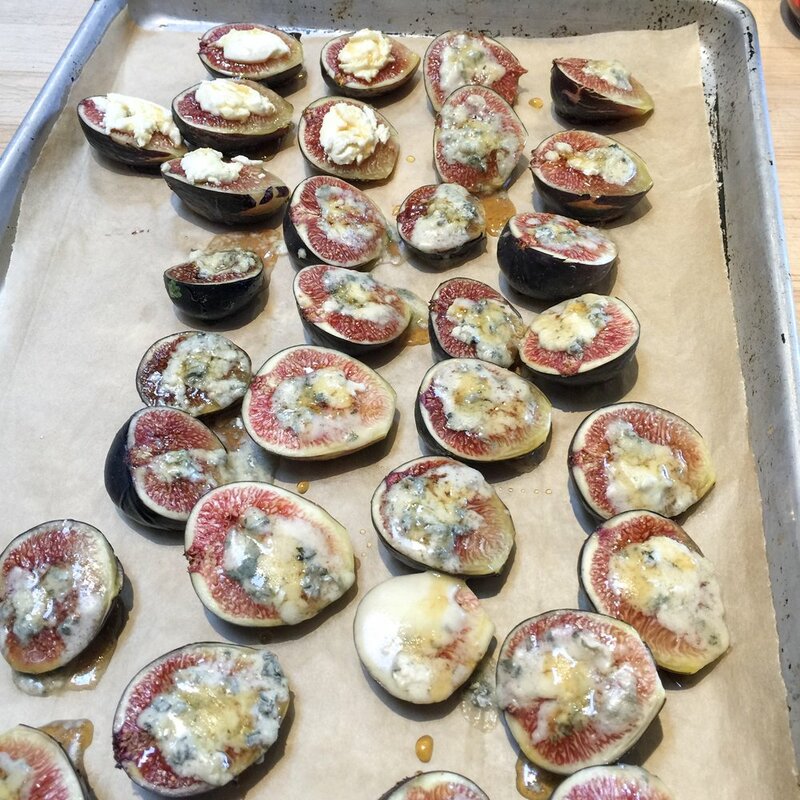 You may have already seen some creations we made during the Farmer’s Market cooking class on Instagram, but we’ll share some more and an exciting update to Off the Beeten Plate below. The way the chef planned our dishes for class was just our style: 1) Shop for seasonal ingredients 2) Get recipe inspiration from the ingredients and come up with a dish as you go! A mushroom frittata was one of the many dishes we made in class, which reminded us of our favorite ways to prepare eggs—Dad’s frittata! A recipe passed down from our Italian grandmother. It’s creamy, buttery and simple. We love it best with just salt, pepper and herbs. It’s typically made with butter, but now we make it with olive oil or vegan butter. However, if you can tolerate it, this is one recipe that is worth a little butter or ghee! 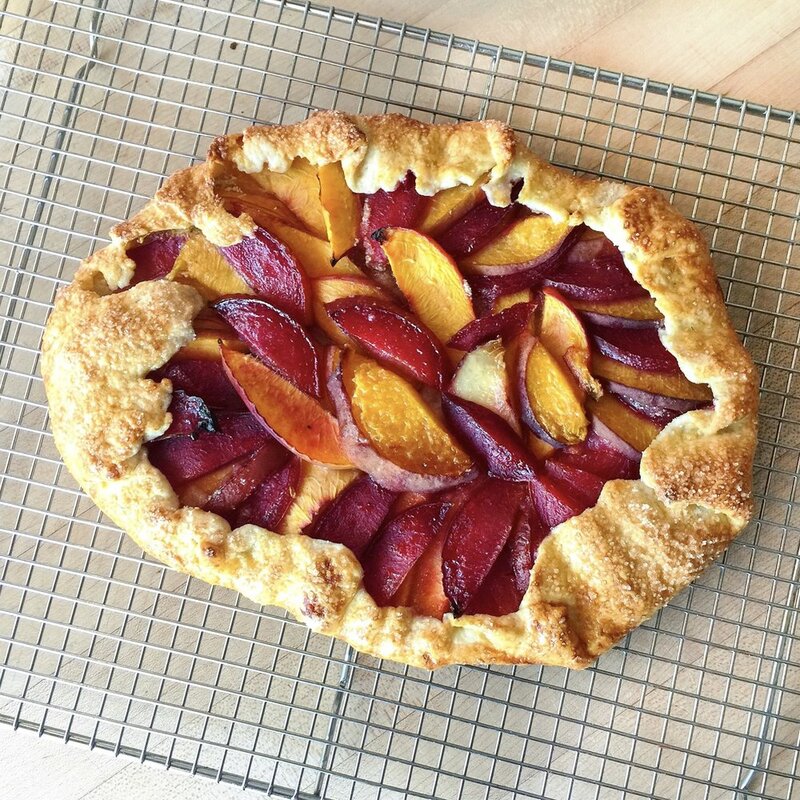 After perusing all of the colorful varieties of fruits and vegetables at a Berkeley farmer’s market, here are just some amazing dishes we made in the class! Update: A new face on Off the Beeten Plate! She’s the graphic designer and co-recipe developer of Off the Beeten Plate. You know that cute logo? Yep, that’s her creation! 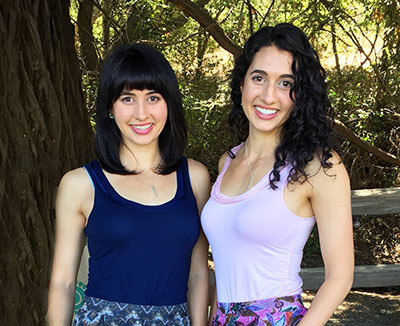 And she also designed our new Healthy Swaps guide with her savvy illustration skills, which you can get it for free when you subscribe to our mailing list! Although she’s always contributed her artistic skills behind the scenes, you will start to see her a lot more as we create more exciting things to come in the new year, so stay tuned! Want to know more about Lauren? Click, here.